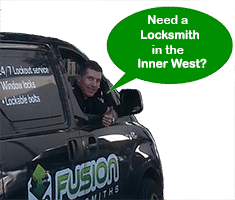 Specialising in emergency locksmith services, Fusion Locksmiths cover all of the Inner West of Sydney. With fully equipped mobile workshops we promptly access and secure your premises following your call out. 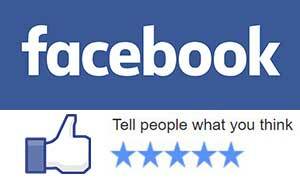 This allows us to get to most Sydney locations fast to provide our 5 star service. Lost your keys? No worries, we will replace them on the spot. We are always on standby to respond immediately when you call. One of our experienced locksmiths will be to your door within the hour. Our locksmith service includes residential houses and units, as well as commercial, retail and industrial locations for all types of locks. Our lockout service requires an average of only 5 minutes for standard locks. Of course restricted type cylinders can take longer. Either way we will have you inside in no time so you can get back on with your busy schedule. Over the years, the Inner West of Sydney has seen some great changes. It is now a great place to work, live and hang out! The pubs, bars and cafes offer a relaxing scene to meet with friends, shopping is in stylish boutiques, eating out at restaurants with their array of cuisines and the renovated terrace living or modern apartments make a great place to come home to. Residents of the Inner West have so much and now you have your Inner West locksmith to keep everyone safe and sound. Call Fusion Locksmiths now for any issues you may have with your locks or security for all doors, windows, sliding doors and any opening you are feeling may be vulnerable. Whether you need a fast response lock out service or want to change your locks from a previous tenant we have your covered. Maybe a dodgy past employee has an old set of keys, or you want an intercom system for an obscured door. With our years of experience working across all of Sydney we have options and solutions to suit your needs. We also work closely with the NSW Police Force to keep up to date with security issues and have partnerships with major brands so all our hardware is of the highest quality. 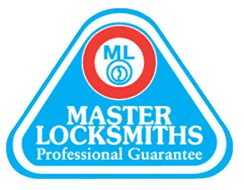 If you’re based in Sydney’s Inner West and you need a locksmith, simply give us a call or request an online quote now. Just because you live in an apartment doesn’t mean you can be lax with your locks. There are lots of security measures you can take to keep safe and keep the thieves out. From locks designed especially for sliding doors on balconies, windows locks to keep the kiddies from falling out of the window, to chain locks when strangers knock on your door. The major lock brands are always improving their products, making stronger and easier to use security. Contact us now, it just might be the most valuable phone call you can make. Fusion Locksmiths pride ourselves on providing true emergency service in your time of need. Whether your Inner West premises has been broken into or you have been locked out of your house, we will be there within the hour. Not just promises, real emergency service 24 hours a day, 7 days a week! Every Fusion Locksmith has a mobile workshop truck with the right tools and hardware to fix and install any lock or security system you may need. Get your security problem sorted the first time, every time!